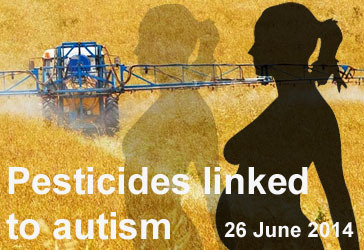 What pesticides and heavy metals are associated with autism? Pesticides are among the earliest identified and regulated developmental toxins1 and one of the first chemical exposures linked to autism. The Center for the Health Assessment of Mothers and Children of Salinas (CHAMCOS) Study, a longitudinal birth cohort reported adverse associations between prenatal and postnatal organophosphate pesticide (OP) metabolite levels and Pervasive Developmental Disorder (PDD) at 24 months of age3. This study measured six nonspecific dialkylphosphate (DAP) metabolites in maternal and child urine. Both prenatal and postnatal DAP levels were positively associated with increased risk of PDD. Recent studies indicated Paraoxonase 1 (PON1) as a potential mechanism of OP-induced PDD4. PON1 detoxifies OPs and genetic polymorphisms of this gene modulate PON1 enzyme bioavailability (PON1 arylesterase) and catalytic activity (PON1 paraoxonase). The CHAMCOS study later reported that children in the cohort were less likely to exhibit PDD when they or their mothers had increased PON1 bioavailability or when their mothers had increased PON1 catalytic activity. Additional studies have reported maternal PON1 polymorphisms and decreased PON1 bioavailability and catalytic activity in children with autism, suggesting that PON1 be a novel susceptibility factor for ASDs. 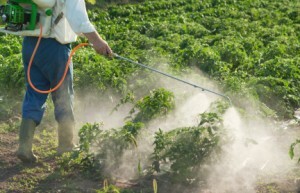 Organochlorine (OC) pesticides are persistent, toxic pesticides that inhibit gamma aminobutyric acid (GABA) neurotransmission. The OC pesticides dicofol and endosulfan were associated with increased risk of ASDs in a geo-spatial study of children with autism in California. In this study, the authors hypothesize that maternal residence near agricultural pesticide applications during gestation may be associated with the development of ASDs in children6. Results indicated that mothers living within 500 meters of organochlorine pesticide applications have increased risk of having children with ASD. The study further concludes that ASD risk increases with poundage of OC pesticide applied and decreases with distance from field sites. The strength of these associations clearly warrants further investigation of the role of pesticide exposure in the etiology of autism. Lead is an established neurodevelopmental toxin, and lead poisoning causes impairments in cognitive, communicative, and social functioning, which are all hallmarks of autism and Autism Spectrum Disorders.8 Numerous studies have reported elevated blood lead levels in children with autism and other Pervasive Developmental Disorders 9, 10, 11, 12, 13. These results indicate an increased lead body burden and decreased excretion capacity in these children. The current understanding of the interaction between genetics and environment proposes that biochemical and genomic abnormalities in detoxification pathways (i.e. lower plasma concentrations of total glutathione) results in an increased lead burden. However, these elevated lead levels have not been observed in other studies of children with autism.14, 15, 16 Given these inconsistent findings, further studies are required to better understand the contribution of lead toxicity in autism. Mercury, a byproduct of industrial combustion and coal burning, is another confirmed neurodevelopmental toxin. 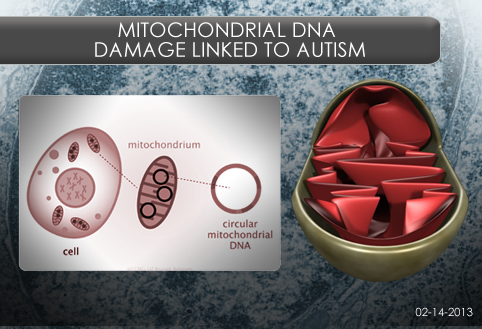 The first hypothesis for a potential causative link between mercury toxicity and autism was published in 200117. The authors noted that exposure to organic or inorganic mercury can engender symptoms commonly observed in individuals with ASD. The authors further propose that early-life exposure to thimerosal, an organomercury vaccine preservative may be a widespread cause of mercury-provoked autism. However, use of thimerosal in vaccines was discontinued in 2001 and there has been no resultant decrease in new ASD diagnoses. Diminished expression of mercury-excreting enzymes has been reported in children with autism and Autism Spectrum Disorders.18Interestingly, an analysis of baby teeth obtained from children with autism found mercury levels twice those reported in the baby teeth of typically developing children 15. However, other studies have failed to identify elevated blood mercury levels in children with autism16, 19. Given the number of contradictory scientific findings, the contribution of heavy metal exposure to the etiology of autism is still unresolved. Carson R, Darling L, Darling L (1962) Silent Spring. Cambridge, Mass. : Houghton Mifflin; Riverside Press. ISBN: 0395453909. Rauh VA, Garfinkel R, Perera FP, Andrews HF, Hoepner L, Barr DB, Whitehead R, Tang D, Whyatt RW (2006) Impact of prenatal chlorpyrifos exposure on neurodevelopment in the first 3 years of life among inner-city children. Pediatrics 118:e1845-1859. PMID: 17116700. Eskenazi B, Marks AR, Bradman A, Harley K, Barr DB, Johnson C, Morga N, Jewell NP (2007) Organophosphate pesticide exposure and neurodevelopment in young Mexican-American children. Environ Health Perspect 115:792-798. PMID: 17520070. Eskenazi B, Huen K, Marks A, Harley KG, Bradman A, Barr DB, Holland N. (2010) PON1 and neurodevelopment in children from the CHAMACOS study exposed to organophosphate pesticides in utero. Environ Health Perspect 118(12):1775-81. PMID: 21126941. Eskenazi B, Rosas LG, Marks AR, Bradman A, Harley K, Holland N, Johnson C, Fenster L, Barr DB (2008) Pesticide toxicity and the developing brain. Basic Clin Pharmacol Toxicol 102:228-236. PMID: 18226078. Roberts EM, English PB, Grether JK, Windham GC, Somberg L, Wolff C (2007) Maternal residence near agricultural pesticide applications and autism spectrum disorders among children in the California Central Valley. Environ Health Perspect 115:1482-1489. PMID: 17938740. 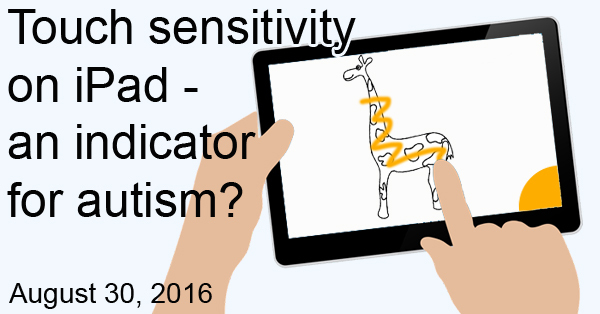 Landrigan PJ (2010) What causes autism? Exploring the environmental contribution. Curr Opin Pediatr 22:219-225. PMID: 20087185. 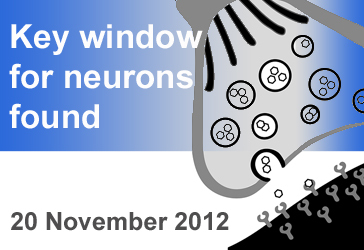 Winneke G (2011) Developmental aspects of environmental neurotoxicology: Lessons from lead and polychlorinated biphenyls. J Neurol Sci 308:9-15. PMID: 21679971. Cohen DJ, Johnson WT, Caparulo BK (1976) Pica and elevated blood lead level in autistic and atypical children. Am J Dis Child 130:47-48. PMID: 813517. Accardo P, Whitman B, Caul J, Rolfe U (1988) Autism and plumbism. A possible association. Clin Pediatr (Phila) 27:41-44. PMID: 2446813. Shannon M, Graef JW (1996) Lead intoxication in children with pervasive developmental disorders. J Toxicol Clin Toxicol 34:177-181. PMID: 8618251. Eppright TD, Sanfacon JA, Horwitz EA (1996) Attention deficit hyperactivity disorder, infantile autism, and elevated blood-lead: a possible relationship. Mo Med 93:136-138. PMID: 8867271. El-Ansary AK, Bacha AB, Ayahdi LY (2011) Relationship between chronic lead toxicity and plasma neurotransmitters in autistic patients from Saudi Arabia. Clin Biochem 44:1116-1120. PMID: 21763301. Adams JB, Romdalvik J, Ramanujam VM, Legator MS (2007) Mercury, lead, and zinc in baby teeth of children with autism versus controls. J Toxicol Environ Health A 70:1046-1051. PMID: 17497416. De Palma G, Catalani S, Franco A, Brighenti M, Apostoli P (2011) Lack of Correlation Between Metallic Elements Analyzed in Hair by ICP-MS and Autism. J Autism Dev Disord. PMID: 21503799. Clark B, Vandermeer B, Simonetti A, Buka I (2010) Is lead a concern in Canadian autistic children? Paediatr Child Health 15:17-22. PMID: 21197164. Bernard S, Enayati A, Redwood L, Roger H, Binstock T. (2001) Autism: a novel form of mercury poisoning. Med Hypotheses 56(4):462-71. PMID: 11339848. James SJ, Cutler P, Melnyk S, Jernigan S, Janak L, Gaylor DW, Neubrander JA (2004) Metabolic biomarkers of increased oxidative stress and impaired methylation capacity in children with autism. Am J Clin Nutr 80:1611-1617. PMID: 15585776. Hertz-Picciotto I, Green PG, Delwiche L, Hansen R, Walker C, Pessah IN (2010) Blood mercury concentrations in CHARGE Study children with and without autism. Environ Health Perspect 118:161-166. PMID: 20056569.